Public Israel holidays are a fantastic time to visit and sight-see, whether you are Jewish or not. On most of the holidays, city streets are decorated, many museums are open and there are holiday events for both adults and children. Public Israel holidays are different than public holidays anywhere else. Israel is the only country in the world whose national holidays are primarily based on Jewish holidays, which start at sunset and end the following evening. and 'Chol HaMoed' - Intermediate holidays. Here is a list of the dates of all the bank and public Israel holidays. If you are a business traveler, make sure to check the dates below before your visit. Public institutions are closed. Most companies work half or full days. Banks and public institutions are closed. Most companies work. Full Day Off. No transportation. Read more on Yom Kippur in Israel. Most companies work full days. Schools are closed for some days. Once a year, almost of Israel shuts down on Yom Kippur, a Jewish holiday that falls somewhere between mid September to midOctober. Around 4 – 5 PM on the eve of Yom Kippur, the country goes quiet as almost all private cars and motor bikes stop running. 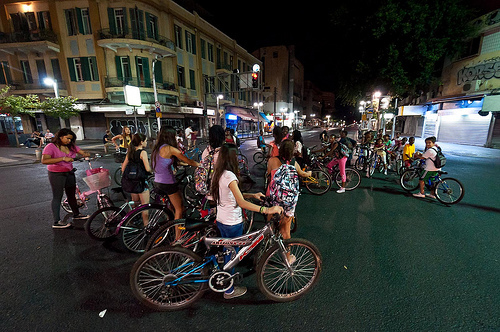 The streets and highways around Tel Aviv fill up with kids biking and families strolling the normally buzzing boulevards. There is an amazing and tranquil atmosphere until sundown the next day. It's my favorite day of the year, since I moved to Israel. All Jewish holidays begin on the sundown before the actual holiday date. That's the reason that the holiday eve is also a full or a half vacation day. Like the eves of Israel holidays, the Jewish Sabbath also begins on the sundown of Friday. So many banks and institutions are closed on Friday or are open half a day on Friday mornings until the early afternoon. Like holiday eves, there are two 'intermediate' holidays (called in Hebrew 'Hol HaMoed) when banks and other official places are closed, either all day or on the afternoon.